Property buyers and sellers in Battersea and Brixton will benefit from the government’s decision to put its planned privatisation of the Land Registry on hold. The Land Registry, which has recorded the ownership of property since 1862, was due to be sold off as part of a strategy drawn up by former Chancellor George Osborne to raise £5bn by 2020. Details of the sale were expected to be included in the Neighbourhood Planning and Infrastructure Bill, which was launched in Parliament last month. Although the Bill contains details of how the government proposes to support more housebuilding, increase the amount of local say over the development of land and speed up the compulsory purchase order system, there is no mention of the Land Registry’s future ownership. The consultation document set out several models for the new agency, with its preferred option being privatisation with a contract to the government. Other options included a mutual joint venture between government and a private firm and privatisation with a new regulator in place. Opponents of the Land Registry’s sale point out that none of the options on the table set out a framework for customer complaints or how any new owner would be held accountable for errors because creation of an ombudsman was ruled out. How? The Land Registry holds a record of land and property ownership worth more than £4 trillion, including more than £1 trillion of mortgages. The Land Register contains more than 24.5 million titles, which show evidence of ownership, covering more than 88% of the land mass in England and Wales. An interest affecting registered land or property, such as a mortgage, a lease or a right of way. Property owners in Battersea and Brixton whose home is not registered can make a voluntary applications for registration. The advantage of this is it gives owners some protection against squatters as well as avoiding the need to produce old documents each time a property changes hands. Once land or property is entered in the register, the Land Registry records any ownership changes, mortgages or leases that affect it. When property for sale in Brixton or Battersea changes hands and the new owner uses a mortgage to part-fund the purchase, the Land Registry will send a copy of the title deeds to the finance provider which will keep hold of the document until the mortgage is paid off. Since December 1990, the Land Register has been open to the public. For a fee anyone can inspect the register, find out the name and address of the current owner of any registered property or obtain a copy of any registered title. This information is most commonly accessed by conveyancing solicitors when carrying out legal searches on the behalf of property buyers to ensure there are no factors affecting the ownership of a property for sale the buyer should be aware of. The Land Registry’s house sales data is also used to produce the UK House Price Index (HPI). This valuable source of information is produced every month, but only gives values for each London borough. 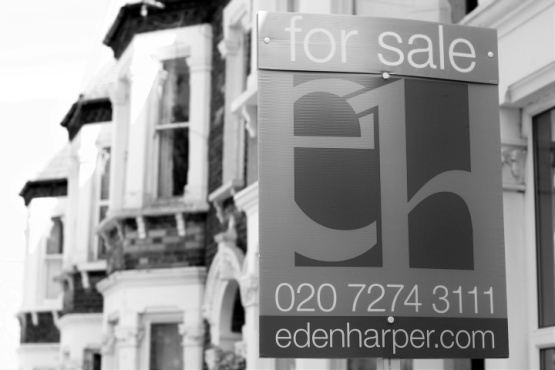 For more information on how much your home in Battersea or Brixton could be worth, click hereto contact Eden Harper’s expert valuations team today.